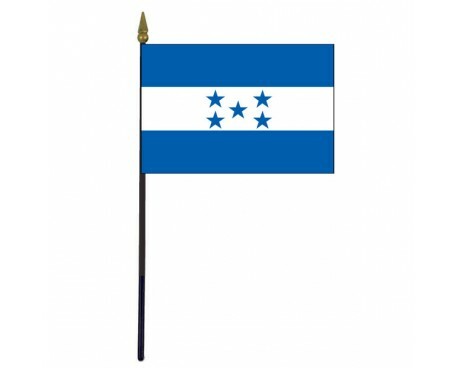 Honduras Stick Flag - 4x6"
The Honduras flag has represented the country for more than 150 years without undergoing any changes. That long history gives the Honduras flag meaning as the nation's history in addition to its role as a symbol of the nation's government and people. The flag of Honduras is descended from the flag of the Federal Republic of Central America, which also gives the flag a connection to the history of Central America as a whole. The flag of Honduras is made up of a single stripe of white that is placed between two stripes of blue. Five blue stars with five points are placed in the center of the flag. Those colors and symbols give the Honduras flag meaning as a symbol of the state and its unique culture. 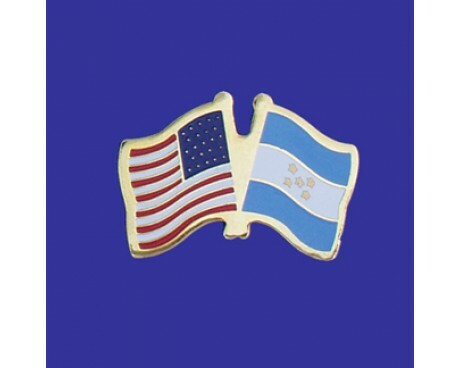 The stars represent the five nations that formed out of the dissolved Federal Republic of Central America and the hope that those nations can remain united in the modern era. 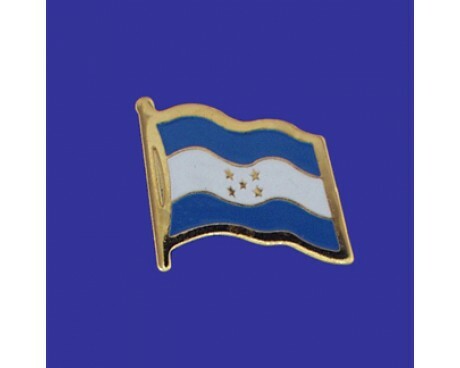 The blue stripes represent the Pacific Ocean and the Caribbean Sea as well as the brotherhood of the Honduran people. The white stripe represents the land of Honduras which is surrounded by those bodies of water and the abstract concepts of peace, prosperity, and purity. The modern Honduras flag is derived from the flag of the Federal Republic of Central America, just as the nation of Honduras is descended from that republic. The Republic used a flag that featured two stripes of blue with a white stripe between them and the national seal in the center of the flag. 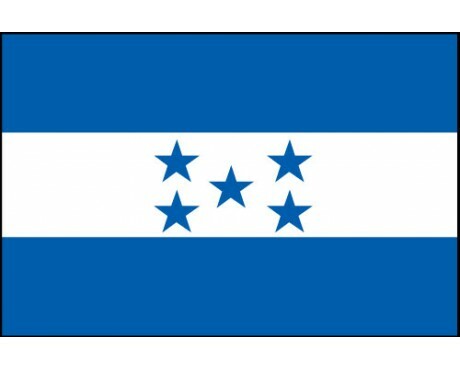 The flag of Honduras uses a darker shade of blue than the flag of the Federal Republic, but the link between the two flags is clear. Honduras began to use the Federal Republic's flag in 1823. Honduras did not adopt its modern flag immediately after the Federal Republic of Central America fell apart. It became independent in 1838, but it only adopted the modern flag in 1866. The nation has used the same flag ever since that time, and the flag's stability has made it such a potent symbol that it is unlikely to change in the future.